AMAM is a design collective based in Tokyo, Japan, by Kosuke Araki (1988-), Noriaki Maetani (1986-) and Akira Muraoka (1986-). 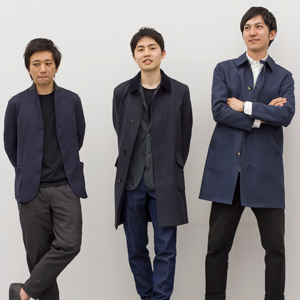 While Kosuke works as a freelance designer, and Noriaki and Akira work as in-house designers, they formed the design collective in 2015 to enter Lexus Design Award 2016, for which they eventually get selected as the Grand Prix. They studied at Tama Art University in the same course during the same period. Afterwards, Kosuke and Noriaki acquired a master degree at Royal College of Art in London also during the same period.